Welcome to HenryWatch. 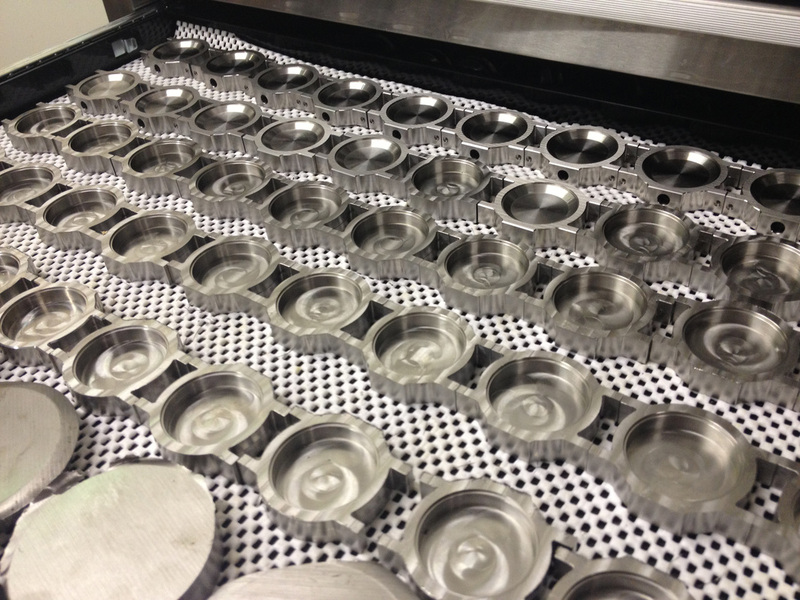 In production for over 6 years! 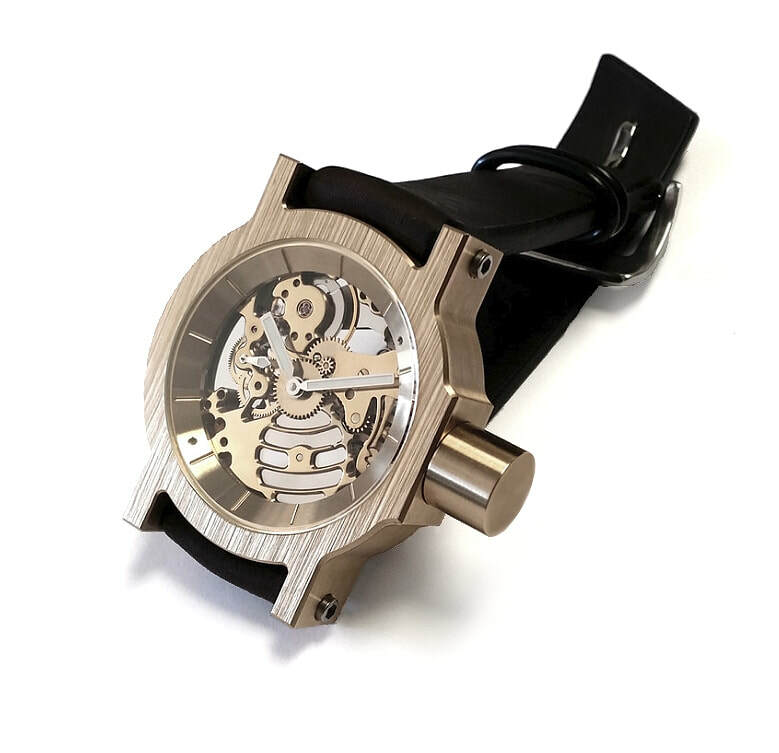 The 48mm Swiss ETA 6497 Skeleton with a Stainless Steel Case and Crown. $2995.00 Including the band. 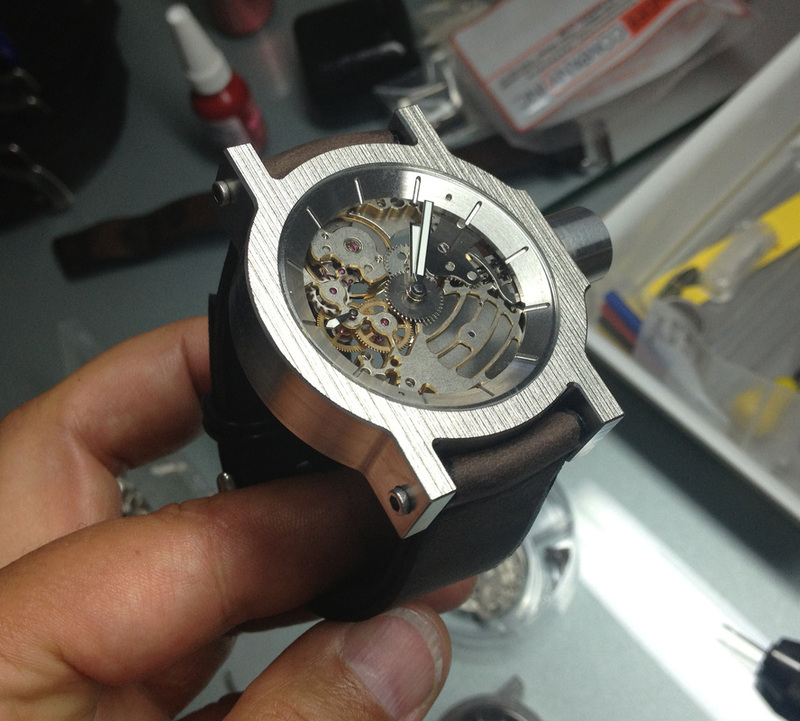 This is by far the most popular watch I make. It has been in production for 6 years and is my favorite to build. 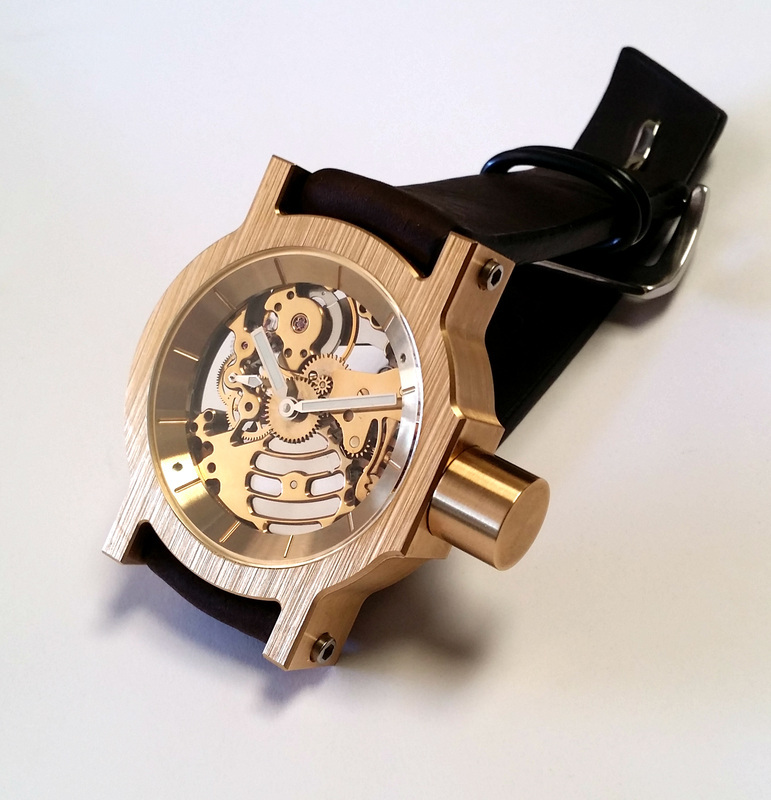 This is the 48mm Swiss Skeleton with a Bronze case and gold plated mechanism. A customer request and it turned out amazingly well. A real head turner......... $3995.00 including the band. Just wanted to email you after I've received probably my 50th compliment on my watch. 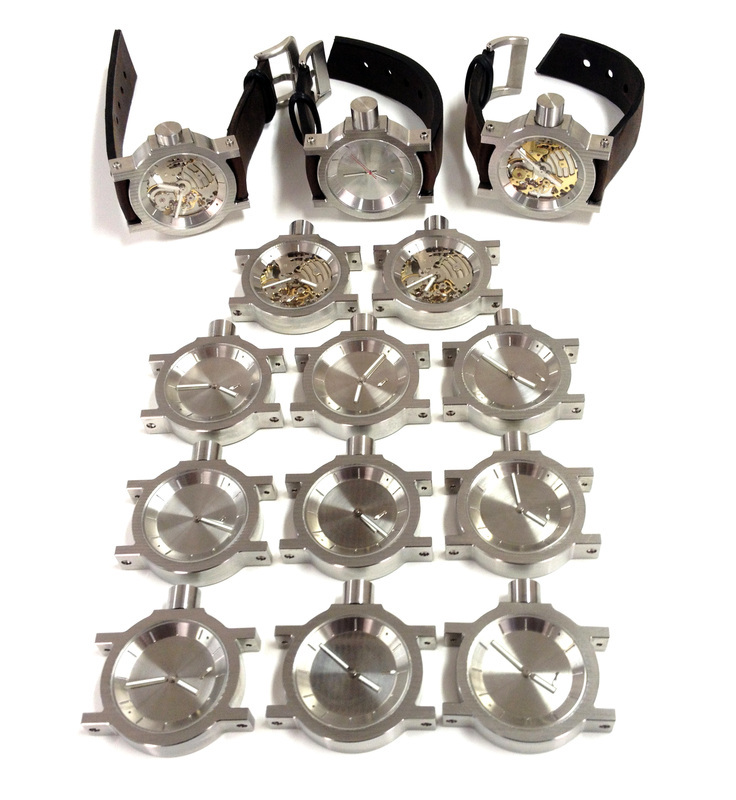 I was a Kickstarter supporter way back when and got the 48mm quartz. I love the attention to detail with the mill work, and find the tanned leather to be some of the finest I have seen on any type of product. Just an all around great watch. You should be proud of your work. I certainly am. Just wanted to let you know the watch arrived last night and it’s perfect! Not a studio photo but I just could not wait. Here it is the result of almost 2 years of effort. 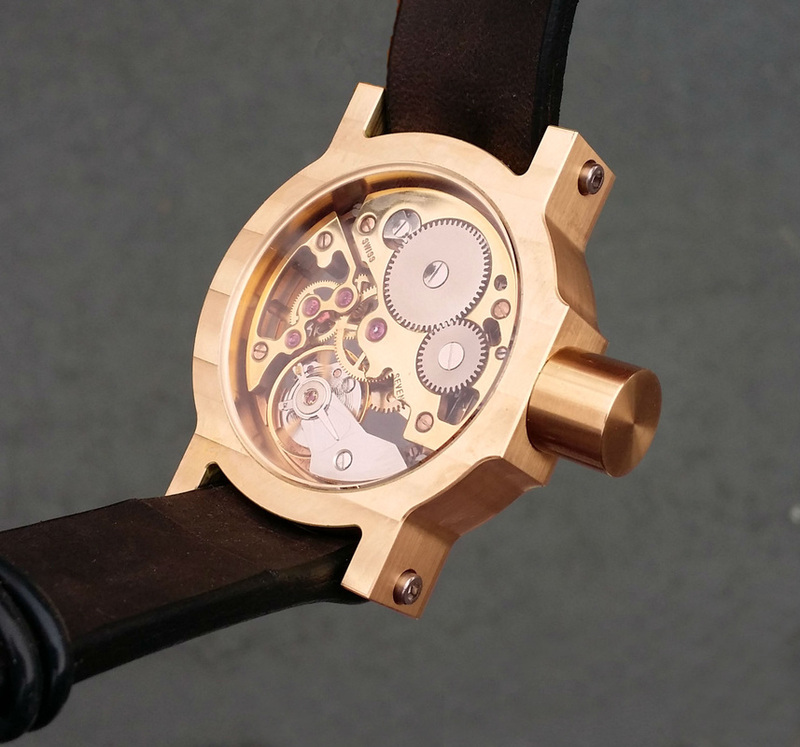 The 48mm Henry Watch Skeleton. I am very happy with the result. I approached this as an important project not an urgent one. Thanks to all those who have been so patient. 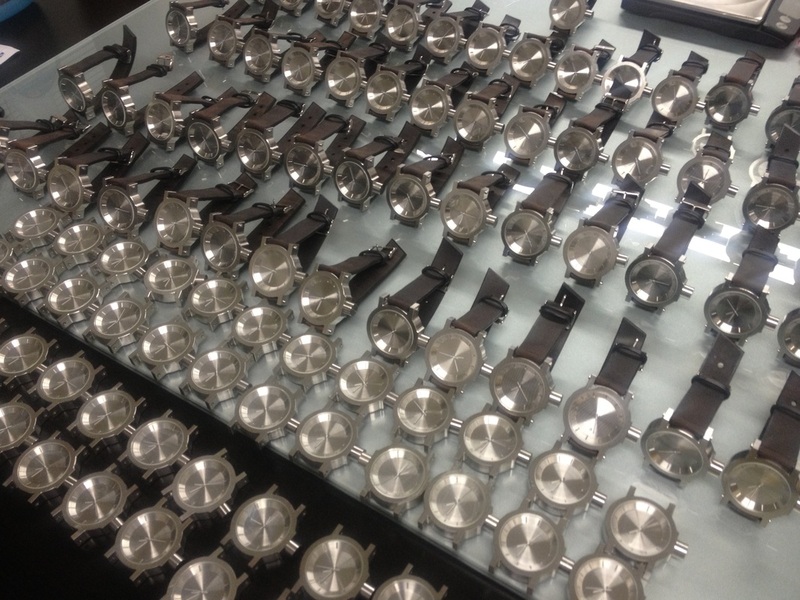 I am very proud of the watches. 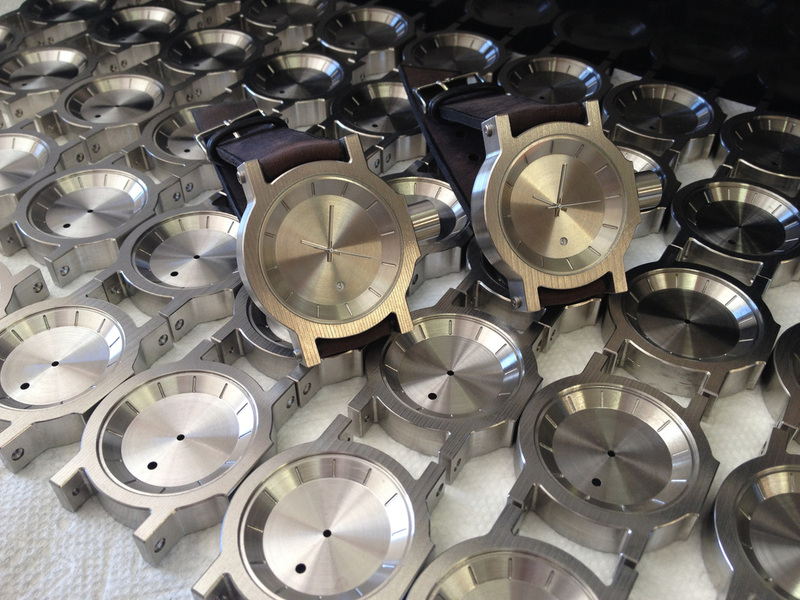 Watch cases that are machined and chamfered on all edges.